Published on: July 21, 2016 at 7:00 am. Updated on: October 19, 2017 at 9:45 am. With all the excitement around the release of PHP 7 – here at Stream we have decided to give our own PHP a refresher – from our client, example apps, and Laravel framework integration. 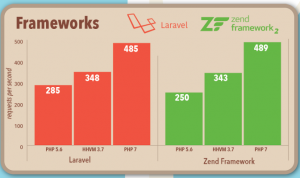 Since it’s original release by Taylor Otwell back in 2011, Laravel has emerged as one of the most popular PHP frameworks (right up there with decade-long players Symfony and Zend). This is for good reasons – Laravel boasts a modular composition with awesome components such as Composer for package management, the Eloquent ORM, and the Blade templating engine. In addition, it has also offered developers a clean, object oriented syntax. Laravel is currently in version 5.2, which was released late in 2015. The original Stream PHP example application is built upon Laravel 5.0, as well as a branch for use in Laravel 4. We’re happy to say that the Stream-Laravel framework integration is compatible with 5.2 – and if you follow this post, we’ll be building an example application that works with 5.2 using Stream-Laravel. Read on to see how Stream-Laravel integrates seamlessly with the major components of Laravel, such as Eloquent and Blade. The final result is a todo app social network running on a LEMP PHP 7 stack on a DigitalOcean droplet. If that seems like a whole lot – it’s actually not too much. You can go from nothing to having a LEMP server running your Stream-powered Laravel application on top of PHP 7 in about 60 minutes or less! There are two major reasons to do this tutorial. The first is to learn how to set up a LEMP stack for PHP 7. The second is to integrate Stream’s scalable newsfeed technology into a Laravel application. This is a one-stop shop for getting set up with PHP 7 and Laravel 5.2 – on a DigitalOcean droplet. Otherwise, you will have to reference almost a dozen tutorials and StackOverflow threads to accomplish the same thing. So, why do that? Get moving with the new – Laravel 5.2 running on PHP 7 – within 15 – 30 minutes. Learn how to build a scalable news feed with PHP and Laravel – also in less than 30 minutes. The Stream-Laravel integration hooks in seamlessly to the Eloquent ORM. Add in other Laravel-based goodies, and access to the low level Stream-PHP library and this makes for a productive way to build a stream. Alright, let’s get started building our LEMP stack server. 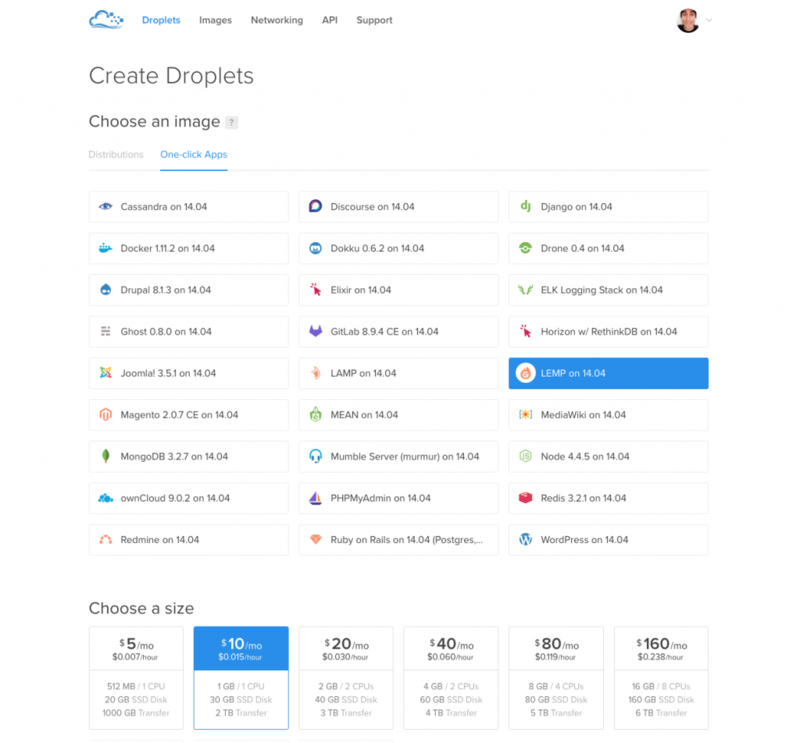 With DigitalOcean, this will only take a couple minutes – by creating a DigitalOcean droplet. One of the big strengths of DigitalOcean is the simple dashboard. DigitalOcean’s dashboard really makes it easy to get us going with a LEMP stack running on Ubuntu 14. Create LEMP Stack on Ubuntu 14 Droplet. Note: Remember to add an SSH key so you can login. Next, Login to your server via SSH – using the IP address provided in the DigitalOcean dashboard. Thank you for using DigitalOcean's LEMP Application. You are encouraged to run mysql_secure_installation to ready your server for production. Note: You should copy down your IP address, and your MySQL password. We will be using both. After you SSH with root access, you probably want to create a new user with sudo privileges – and log in to that user. Using root any longer is not recommended! DigitalOcean provides a quick guide to creating a sudo user. So, you have created an Ubuntu 14.04 LEMP droplet, and logged in (hopefully not as root, still). Now, follow these easy steps provided by DigitalOcean to install and set up PHP 7 and the related parts of the stack. Note: Make sure you are following “Upgrading PHP-FPM with Nginx” as we are on a LEMP stack. Composer, the now de facto dependency manager, is a must-use in the PHP ecosystem. It will manage the dependencies – pull in required libraries, dependencies and manage them all for you. Composer also has a main repository: Packagist. Combined, Composer and Packagist make the experience similar to npm or Ruby’s Bundler. Just thinking about managing PHP dependencies without Composer now makes me shutter! This will create a file called composer.phar in your home directory. This is a PHP archive, and it can be run from the command line. We want to install it in a globally accessible location though. Also, we want to change the name to composer (without the file extension). We can do this in a couple steps. Saw the list? Great. Let’s move on to Laravel. Now that we have our shiny new PHP 7 based stack operational along with Composer install – it’s time to get started with Laravel 5.2. First, let’s set up our database. It will only take a second. We’re going to use MySQL – remember that password you saw after you logged in? You can name your user, password, and database anything you want – we are using laravel for the sake of being easy. To make it as easy as possible to get started, let’s just clone the completed Stream-Laravel example app. Please note that you do not need to copy and paste any code, or create any files. Rather, this is intended to help you learn while you follow along with the process. You may want to use sudo with the following commands to avoid any permissions errors. Check out this DigitalOcean how-to and search for “permissions”. Okay, cool. If all went well – you just installed a bunch of dependencies inside of vendor. Note: The Stream-Laravel example application is based off of the Laravel quickstart-intermediate project. Please take a look at the additional references below for more information. One thing we need to do is set our new application’s database credentials – which happens in a .env file. Now let’s run php artisan migrate. Next up, let’s integrate Stream-Laravel into our application to create some awesome social functionality. Now, our current Laravel app is pretty basic – we can create users, login, and add/complete/delete todo tasks. Next, we’ll get integrate Stream-Laravel into the mix – which we use to build following and feed functionality into our app. Now that we have Stream-Laravel installed, let’s add it to our application config. Now, we will need to add API credentials to the newly generated config file. Let’s head over to the Stream Dashboard. Head over to the Dashboard. If you don’t have a Stream account, you’ll be prompted to sign up. It only takes a second. In our example, we use “Laravel-Test” as a name, but you can name it anything you like! Don’t worry too much about the different feed types, right now. We will get into that a bit later. Copy down your API key, API secret, and API app id from the application page. And now, we should be ready to rock with Stream. Let’s go! Okay – now for the fun part! Let’s build some Stream functionality into application. One of the coolest – and easiest – things to do with Stream-Laravel is have it hook into your Eloquent models. Let’s start with the Tasks class. No, really. Really – that’s it! Next, let’s flesh out our activity data a bit. Now that we are pushing our tasks as activities to Stream, let’s take advantage of some other Stream functionality to make our app social. Let’s create a Users page that displays name. We will also want to be able to follow or unfollow users. We will need to store our follow/unfollow information in a database table. We can use an Artisan migration file that has been created to automate this task. All we have to do is run the migrate function. Note: Check out more information on migration with Artisan here. We should be ready to add some application code. Let’s go! We have several pieces of application code we need to make this new piece of functionality happen. * Get the user that has the follow. Now, let’s also create a “repository” – which is an abstraction that moves our database queries into their own functions. With this, we will return an array of arrays – one for users we are following, and one for users we are not. This code uses the DB object and MySQL queries. Not the prettiest thing in the world, but it will get the job done. Alright, next – we need a controller. It is a MVC architecture, after all. * Create a new task. As you can see, we are using FeedManager which provides a followUser method that takes two simple parameters – our user id, and the id of the user we want to follow (the follow_id). * Destroy the given task. 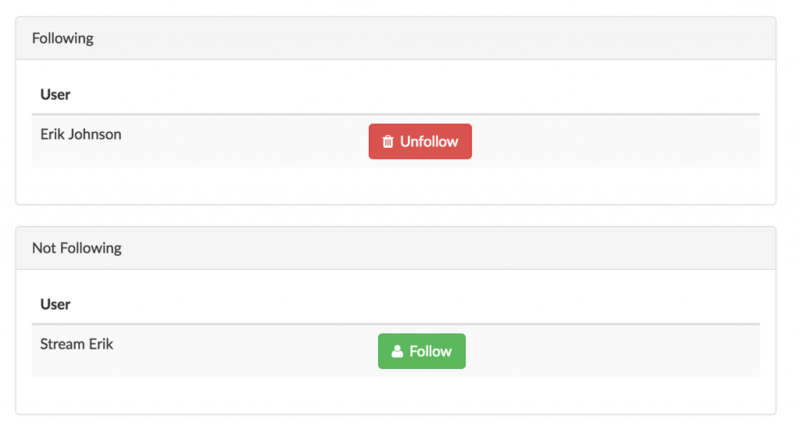 * Display a list of all users in system - sorted by users following, and not following. Again, we’re using FeedManager which provides a unfollowUser method that takes two simple parameters – our user id, and the id of the user we want to unfollow. Alright, one more piece before we complete our Follow / Unfollow functionality – a Blade HTML template. For the sake of the length of this post, click on the link to view the code. Alright, the final piece to the puzzle. We are adding activities to Stream feeds, and we can now follow/unfollow other users. Let’s build a news feed, so we can see what the people we are following are creating for tasks. Here we are using the FeedManager – getting the 25 most recent activities from our timeline feed. Let’s finish this tutorial up by adding an Blade template for our news feed. Again, for the sake of brevity – click on this link to look at the code. Well, we really jam-packed a ton inside this tutorial – DigitalOcean, PHP 7, Laravel, and Stream-Laravel. Hopefully it went well for you – and were able to cram a lot of know-how into 60 minutes. In a future post that is coming soon we will dive even further. You will learn more about Stream-Laravel, such as using the enricher to automatically enrich your activities, templating functions, low level API access, and a whole lot more. By the end, you’ll have the next Facebook on your hands! Questions, comments, suggestions? Hit me up at erik@getstream.io or on Twitter at @8EJ3.